Basically, there are six steps for filling the LSAT 2019 application form as shown below. 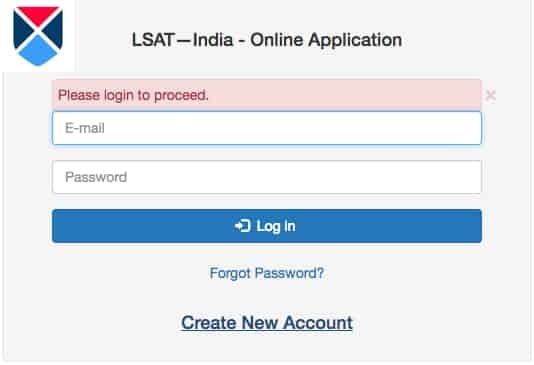 Candidates visiting LSAT 2019 official website for the first time have to register for the exam first by tapping "Create new account". 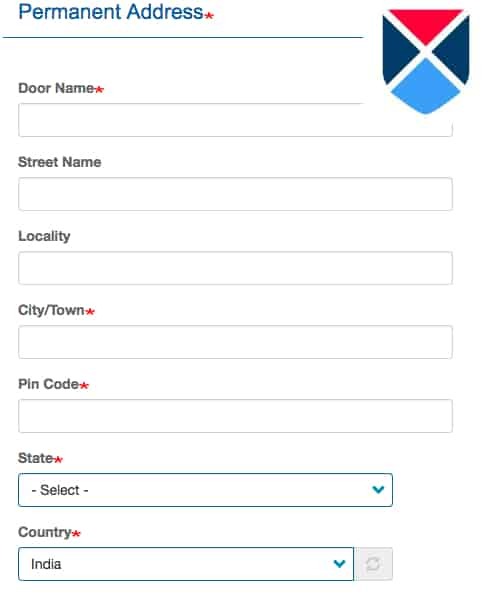 Applicants having their LSAT 2019 Registration credentials: login ID and password; can directly login and fill application form. 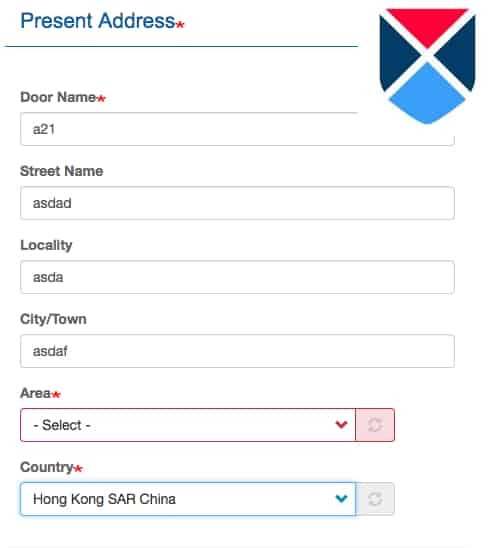 Step 2: Entering Personal Details in LSAT 2019 Application form. 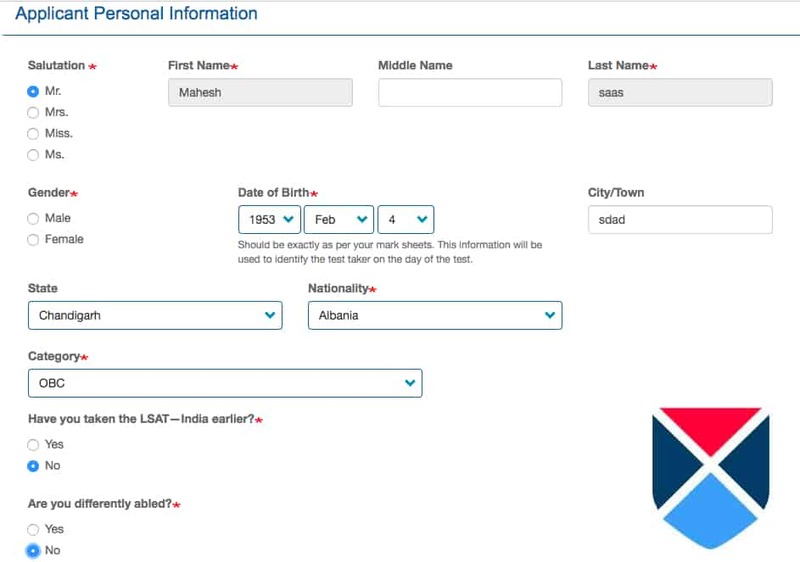 Candidates registering for LSAT 2019 have to enter their personal details such as name, gender, DOB, city name, state, nationality etc. After entering all the details, press next to continue filling the LSAT Application form. Step 3: Uploading photograph in LSAT Application 2019 form. File to be Uploaded: Applicants have to upload their photographs while filling the LSAT Application form online. Format: Photograph that is to be uploaded has to be only in PDF/PNG/JPEG formats. Size: The size of the photograph must be not more than 2 MB. First, all aspirants have to select whether their present address is the same as the permanent address. If a candidate's present address is same as permanent, one can click yes, else no. Candidates have to enter their Present address as shown in the image below. The details required are provided below. Candidates have to enter their Permanent address here; if their Present and Permanent address are different. Here, the candidates have to select their preferred program in which they are willing to enroll. There are totally three preferences available. Candidates must also select their Preferred location. 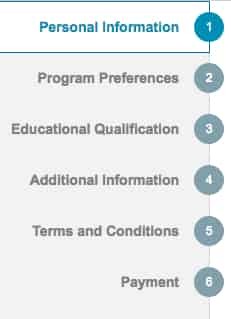 Step 7: Select college preference in the LSAT 2019 Application Form. Here candidates have to specify their preferred colleges in which they are interested to get admitted out of all LSAT 2019 participating colleges. Aspirants can select eight colleges in total based on their choice. Primary mode of language used for instructions in their school. And about their English fluency level. Father's and Mother's active email id etc.. Candidates have to carefully read the LSAT 2019 details for terms and conditions. After reading if aspirants are satisfied, they can click yes and continue. After filling the complete application, applicants have to pay for the application form.